When business drop down to quartz glass, it isn`t usually tie to daily chores or entertainment. Our main customers are laboratory’s, manufacturing facilities and medical institutions. So that is why, it is particularly important to endure the proper quality. We understand the importance of our task, and we are taking responsibility for the quality indicators of the entire line of our products. Quartz glass? Onley JV “Quartz”! Benefits cooperation with JV “Quartz”— constant quality of wares, flexible pricing policy, individual approach to each customers requirements. We will not be stopped by complex tasks or non-standard inquiries – you can count on the maximum output by our side. JV “Quartz” cares about our customers, so to wholesale buyers we guarantee considerable discounts! Virgin crystals of transparent, mountain quartz, glancing in the light, and fall into the crater of the stove. Inside it, at the temperature above 1700 degrees Celsius, they are melted into a thick mass, and after processing — into flasks, test tubes, tubes, rods, sight glasses and other goods necessary in science and industry. Their distinguishing characteristics are: highest strength, resistance to heat and exceptional transparency. 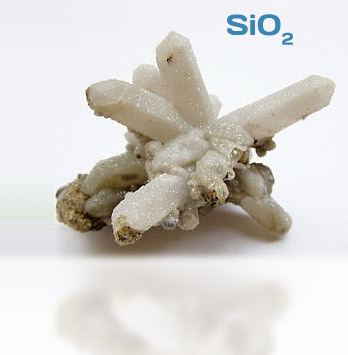 Quartz – the most common mineral on the earth, and it is he who becomes the basis of such useful and beautiful things. This mineral stands up against exposure to high temperatures and acidic environments, flasks and beakers made of quartz are resistant to mechanical damage of glass, super precision optics, as well as aristocratic crystal chandeliers — all this is quartz, a mineral that makes up more than 60% of the earth’s crust. It is a unique material with outstanding physical and chemical properties. It is differentiating with highest indicators optical uniformity, it is also resistance to chemical and thermal stresses, and laser-ionizing, has low light absorption and temperature expansion. Quartz glass is characterized by high resistance to a wide range of organic and inorganic substances, including those heated to high temperatures. Due to its properties, quartz glassware successfully replaces equipment made of platinum and it is an obvious benefit in price. Products made of quartz glass (quartz plates, rods, tubes) are widely used for equipping laboratories, for the manufacture of equipment resistant to heat, optical devices, refractory substances and other products, which are resistant to high temperatures and temperature changes. Purchase quartz glass is appropriate for use in such areas, as metallurgy, chemical and machine-building industry, nuclear and hydropower engineering, radio electronics, light engineering, production of space and aviation equipment and others.